How do CAD users and decision makers prefer to stay up to date with the latest industry developments? 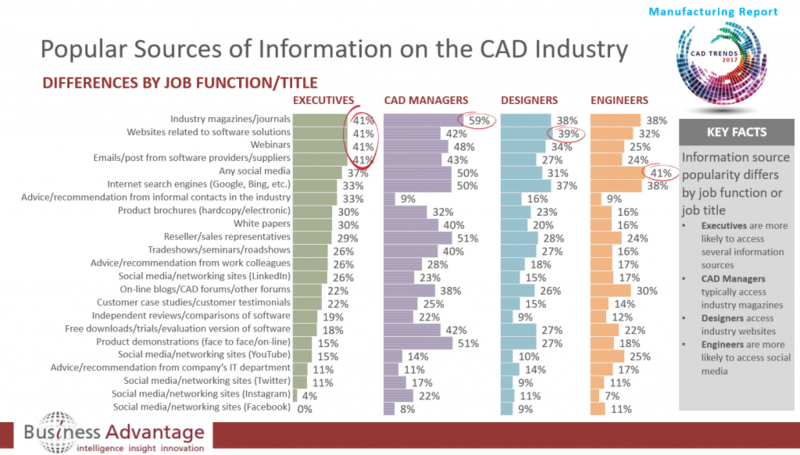 How do decision makers and users prefer to consume CAD information? For manufacturing CAD suppliers, it is vital to know your target audience’s preferences for staying up to date – in order to plan effective marketing.